This article was previously published in the World Economic Forum Blog, on January 14, 2019. The reality is that these decisions have been made by the 3.3 million Venezuelanswho have left their country since 2015. The number continues to grow - 5,000 Venezuelans flee every single day. According to UNHCR, 68.5 million people are displaced around the world - 5% of them are Venezuelan. 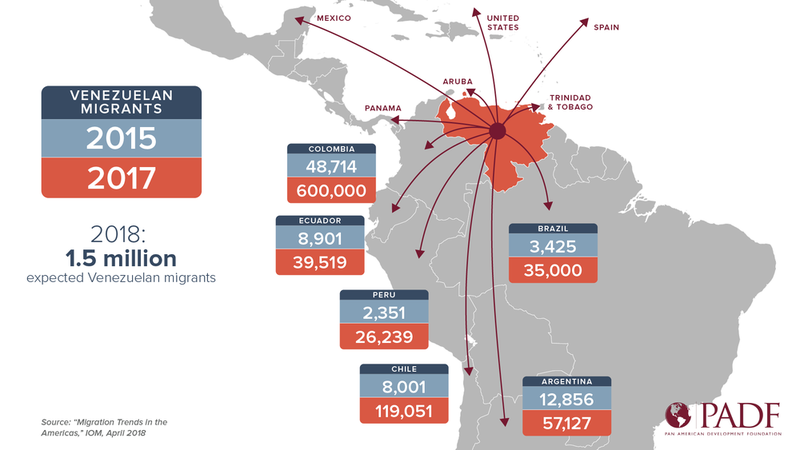 And if you take into consideration the data that the Center for International Development at Harvard University estimates through social media, the number of displaced Venezuelans increases to 5.5 million. This means that 10% of Venezuela’s population is becoming diaspora. Most recently, international emergency response organization MedGlobalpartnered with the School of Medicine of the University of Miami to send medical aid missions to Colombia with Venezuelan doctors and nurses during 2019. With 27% of Venezuelan migrants being children, and many more being women of childbearing age, there is a dire need for primary care, paediatric care and obstetric care in Colombia. Venezuelans with a medical licence in any part of the world can volunteer to participate in these missions, to contribute towards alleviating the impact of the healthcare crisis in cities such as Cúcuta, Valledupar and Cartagena.